It turned out to be a gorgeous day. A bunch of Alfrescoes turned out at the Coast Collective for the Friday paint out. 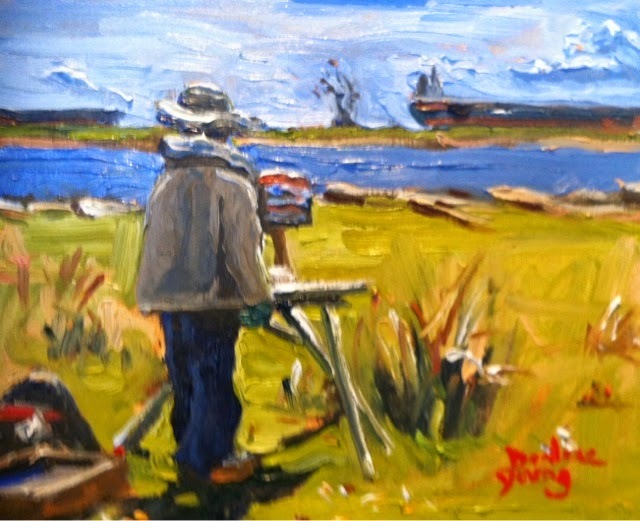 This fellow is Local artist Frank Mitchell. 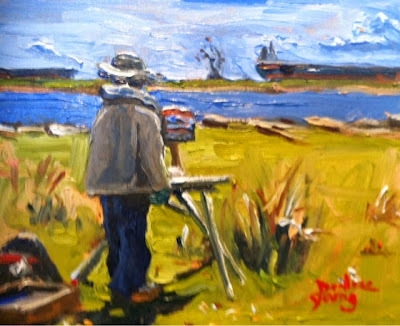 He's the most painted painter in Victoria. We joked about having a show based solely on paintings with Frank in them. What would we call the show? Suggestions please.